Warning: If you are yet to watch the premiere of ‘Game of Thrones’ season eight, do yourself a favour and stop reading now. After waiting for two years with anxious anticipation, HBO blessed us with the premiere of Game of Thrones’ last season in the early hours of this morning. Social media was in a state of buzzy madness, opinions aligning towards the show’s many characters as respective emojis were created for them. Nigerians, online, applied themselves to the buzz, going to watching parties or just staying in and relying on the cable service of DStv to broadcast the premiere at 2:00am. 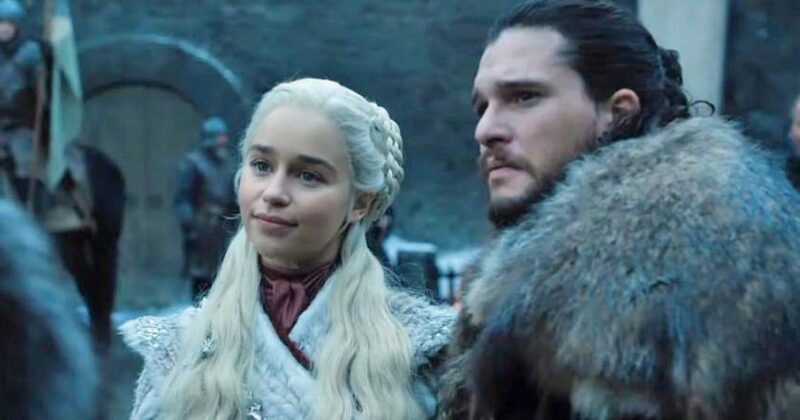 This vigil came alive through Twitter, Nigerians watching and tweeting reactions to, say, Jon Snow being told by Samwell Tarly that he is the true heir to the Iron Throne, and the episode’s last minutes wherein Jamie Lannister locked eyes with Bran Stark. The premiere generated talking points that has set the tone for the show, and here are the reactions we saw online. Game Of Thrones is an exceptional show. The commitment to making every episode worthwhile for the viewers. There’s nothing like it. To be honest, this episode is bleh sha. I was expecting so much. Wow. Episode one was epic. Branį is back in Winterfell. Sarnsa is Preggo. Like guys, I’m not joking, she’s pregnant. They brought an old witchy woman to confirm and everything. Like…..phew. Gist dey. Cersssie’s Maester just found a way to kill Dænerÿs’ dragons. I’m screaming.